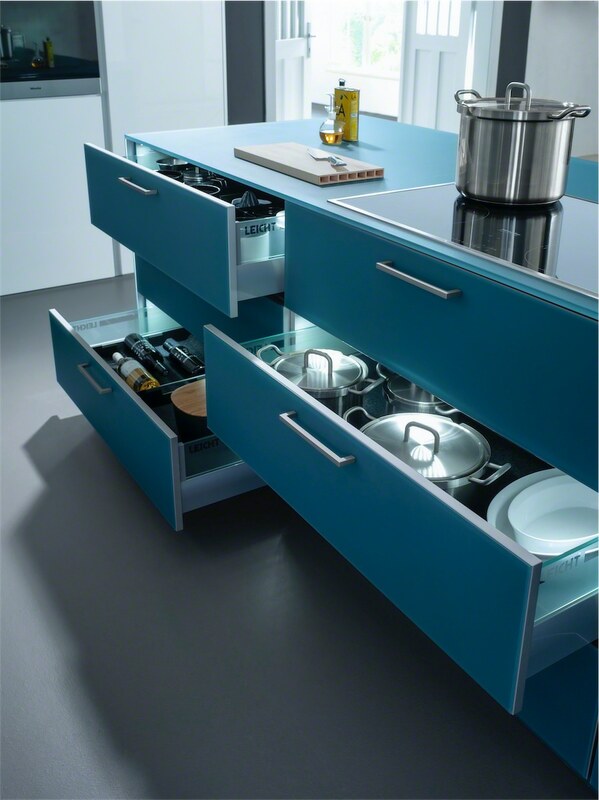 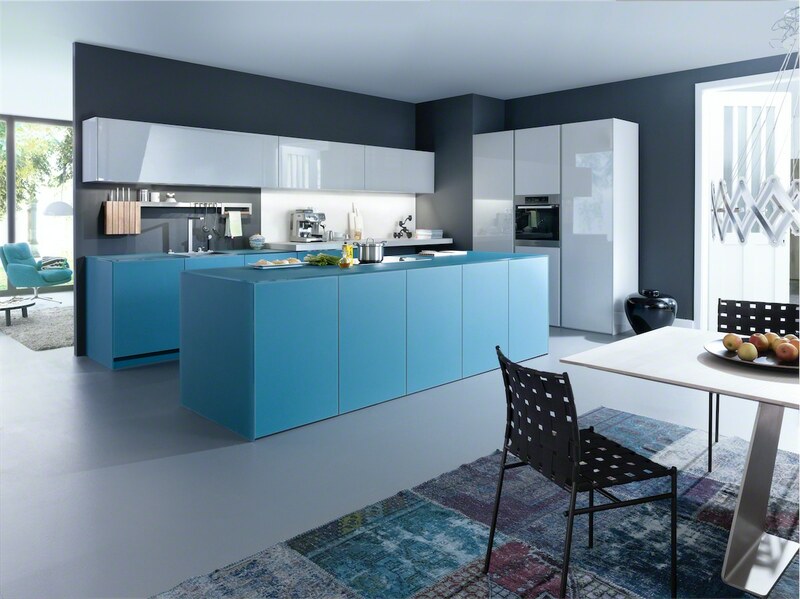 This refreshing kitchen design brightens the mood of any room. 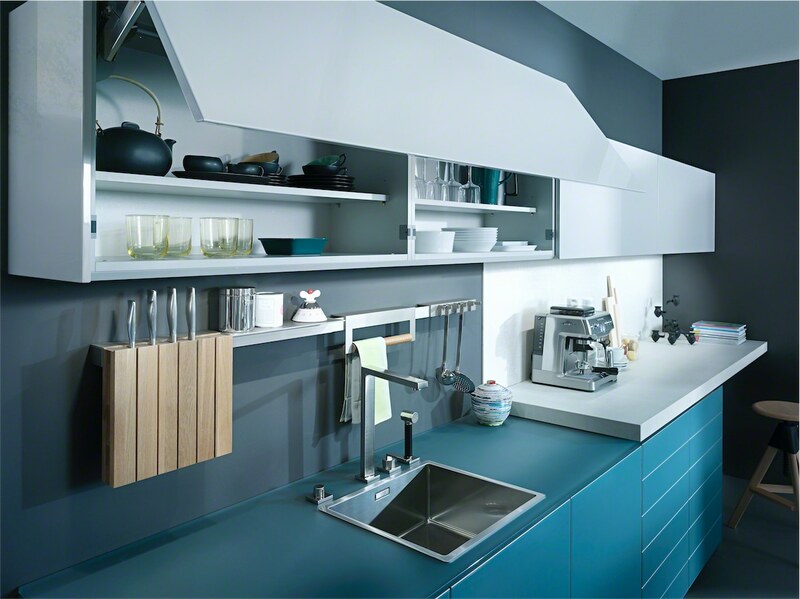 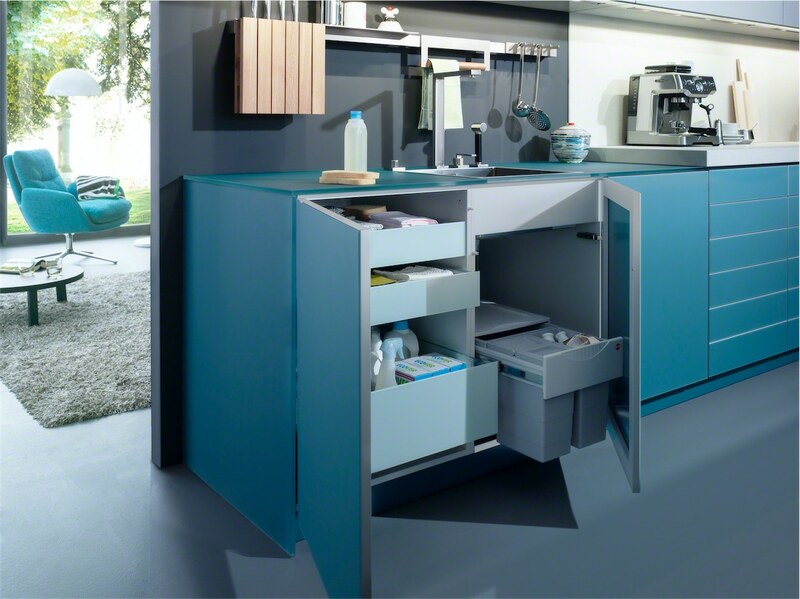 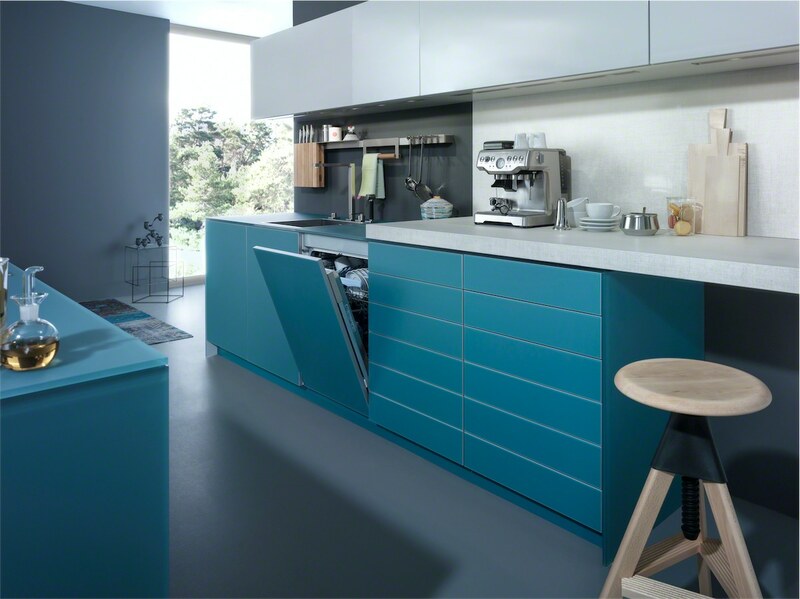 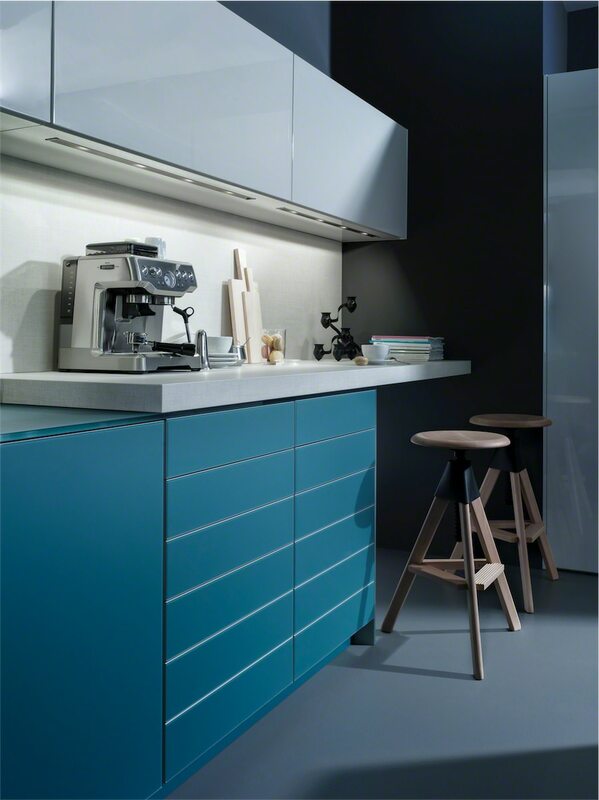 A modern and young colour and material combination truly makes the kitchen feel like a unique space. 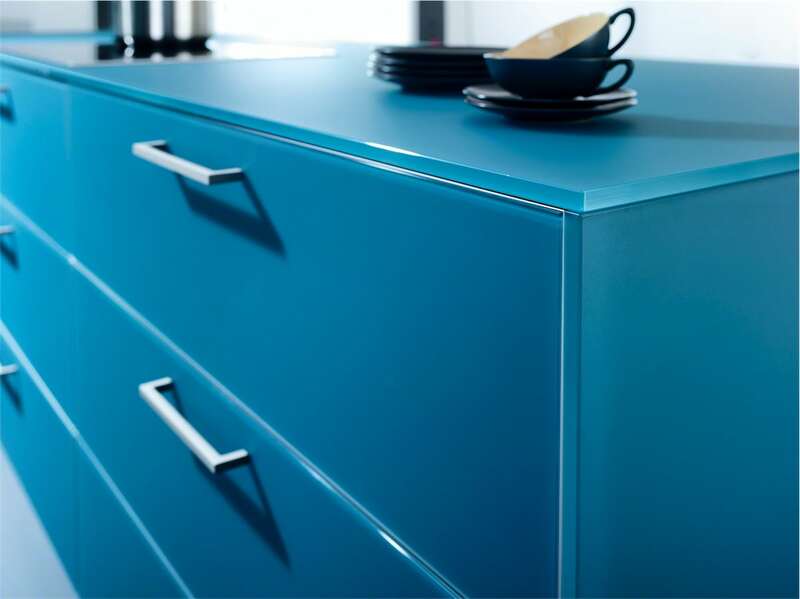 Matt glass and glossy lacquer, muted blue-green and light grey, these truly inspirational pairings give the room an exclusive yet homely quality.